Warren Buffett, the great investor who is the chairman of Berkshire Hathaway and now the richest person in the world according to Forbes, told a story about a batboy in Berkshire Hathaway’s 2002 annual report. The batboy was Eddie Bennett, who was 19 years old in 1919. He began his career with the Chicago White Sox, who went to the World Series that year. The next year, Eddie moved to the Brooklyn Dodgers. He had the Midas touch. They also won their league title that year. Two in a row for Eddie. But once again, Eddie saw a better opportunity. So he joined the Yankees in 1921. They won their first pennant ever. Eddie knew he was in the right place so he stayed put. The Yankees won five American League titles in the next seven seasons. What did this mean to Eddie? He made as much during the World Series as he made all year. So by choosing the right team with whom to associate, he doubled his income. And he became perhaps the best known batboy in baseball history. #1 – Sometimes it pays to switch teams. If you’re with a team that doesn’t look like a bigg winner, and you see a better one, then go for it! 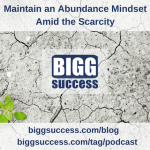 #2 – Don’t have a scarcity mentality. People who think like this can’t work with others because they don’t think there’s enough to share. Eddie shows us that we may actually make more money BY working with others than we could on our own. #3 – You don’t have to be the star to be a star. Eddie became famous in his own right. He’s written about just like Babe Ruth and Lou Gehrig. In fact, he’s the first of that great trio that we’ve blogged about! #4 – Every job is important. A supporting role is just as important as the starring role. Eddie knew his place and the importance of what he did. He knew that if he did a good job in his role, other people would thrive in theirs. And he would reap the benefits along with them! #5 – He had a passion for what he did. The fans knew it and the players knew it. They respected him for the role that he played. It’s reported that Eddie and Babe Ruth became good friends because they were both at the top of their game. In the annual report we referenced earlier, Warren Buffett describes himself as the batboy for Berkshire Hathaway. He turns the heavy-hitting over to the leaders of the businesses in which he invests. He plays a supporting role so they can step up to the plate and hit home runs. It’s a lesson in management and leadership – give your people the tools they need when they need them and watch them succeed bigg! Speaking of giving your people tools, share Bigg Success with them. We thought it only fitting for our bigg quote today to come from Warren Buffett. Otherwise, you risk striking out! 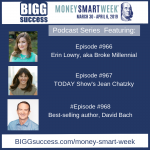 Next time, we’ll discuss tips for spotting your bigg opportunity. Until then, here’s to your bigg success! Holy Cow! Thanks for your comment Harry’s Caray! Now we want a tasty BUD-weiser. Lessons on understanding your role on your team….